Angkor Wat is the largest Hindu temple in the world and considered one of the most important archaeological sites for its historical, religious and architectural significance. As for this, the 400km² area, the same size as modern day Paris, was established as a UNESCO World Heritage site in 1992 for its cultural influence. 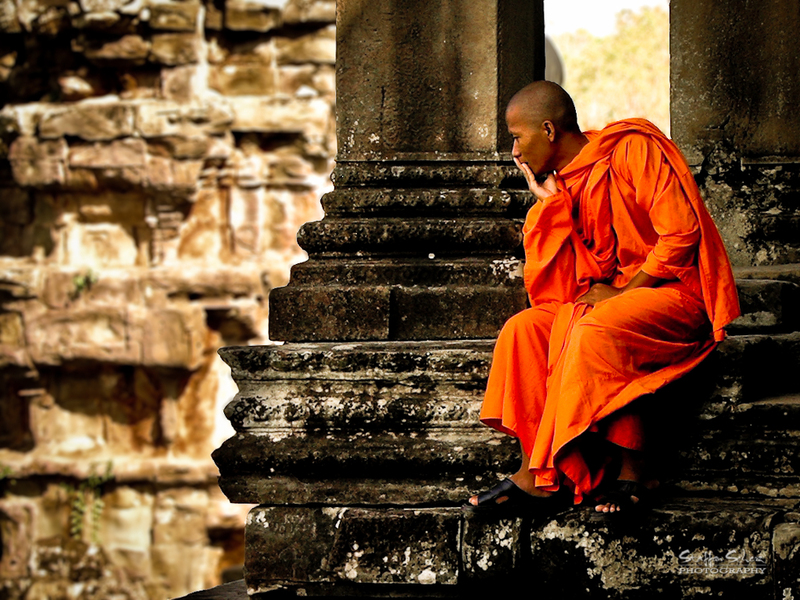 Today, Angkor Wat attracts thousands with religious backgrounds and individuals visiting Siem Reap on Cambodia tours. Here we take a look at how its historical, religious and architectural values influence tourism to Cambodia today. 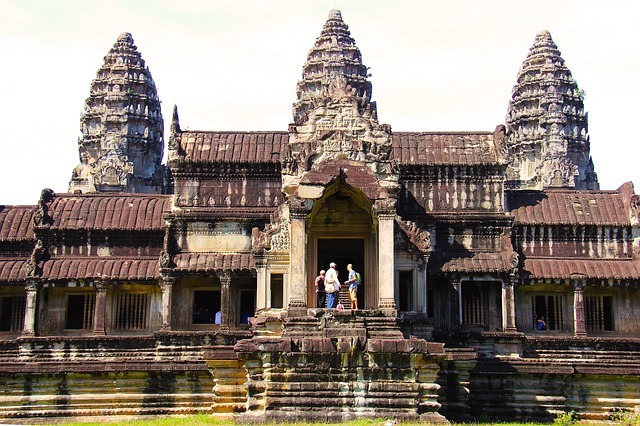 Angkor Wat was built in the first half of the 12th Century, based on significant religious values. 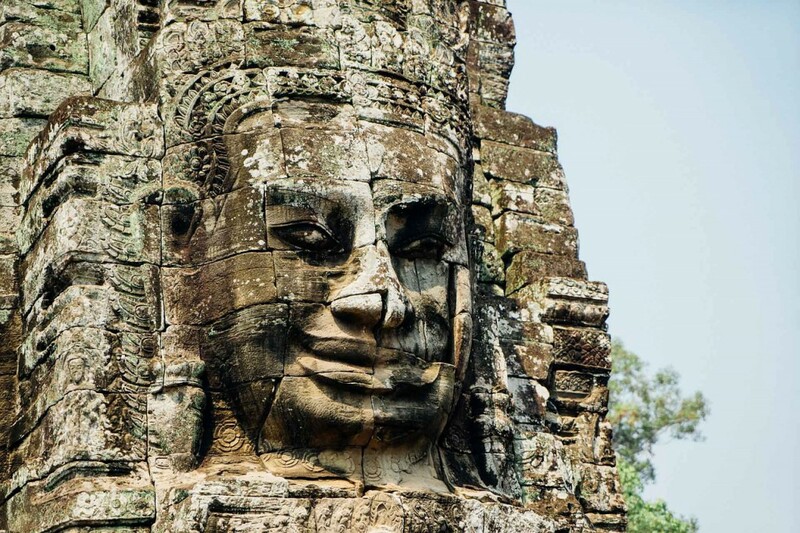 Along with many other impressive monuments, such as the Bayon and Ta Prohm temples, Angkor Wat emphasised all that the Khmer Empire valued – high social order and artistic influence through its exterior design. Originally constructed as a Hindu temple to accommodate the Khmer Empire ruling, which covered most of Southeast Asia, it gradually transformed into a base for Buddhism in the second half of the 12th century and is still used as a Buddhist centre of worship today. Built by the Khmer King, Suryavarman II, it was constructed as a state temple and to be the centre point of the capital city of the time. However, soon after the king’s death, Angkor Wat was overthrown by the Cham and King Jayavarman – the enemies of the Khmer. From that time onwards, Angkor Wat was abandoned to let the natural growth of the jungle take its effect. King Jayavarman relocated and settled his empire several kilometres north, known today as Angkor Thom and Bayon. Taking nearly 32 years to build, the architectural design of Angkor Wat has religious significance throughout. The monument is a man-made illustration of Mount Meru, commonly known as the home of the gods and the centre of all physical, metaphysical and spiritual universes in Hindu, Buddhist and Jain religions. It became a visual representation of the mountain itself with the five peaks and water surrounding the monument. It is thought that the Khmer Emperor, Suryavarman, constructed Angkor Wat facing towards the west instead of the traditional east so the monument could act as the funeral temple for when he passed away. The building is also a prime example of the Khmer empire’s architectural style, as the lotus themed carvings are etched around each of the five spikes using a combination of skill and sandstone, signifying purity and divine beauty. The lotus flower can also be identified in the form of the Beng Mealea, the lotus pond situated at the foot of the monument. The lotus flower is a common symbol of both Hindu and Buddhist cultures. On one hand it signifies divine beauty and, once the petals open, represents the expansion of the soul in Hindu. On the other, Buddhists see it as the purity of the body, speech and mind floating above muddy waters. Known to have some of the most prominent low-relief decorated walls in the world, Angkor Wat is just as historically and creatively awe-inspiring from the inside as it is out. Large scale carved imagery surrounds the interior walls depicting the stories, scenes and episodes from the Hindu Ramayana and Mahabharata narratives. Most of the decoration is concentrated on the depictions of asparas and devata, who were beautiful dancing girls and the wives of the Ghandarvas, the court servants of Indra, and figures of Hindu mythology. The eastern, western and southern walls represent different stories and tales from the time at which the monument was built. The western wall highlights the Battle of Lanka and the Battle of Kurusksheta. The southern wall is a representation of the 32 hells and 37 heavens of Hinduism, and the eastern gallery celebrates the Churning of the Sea of Milk. 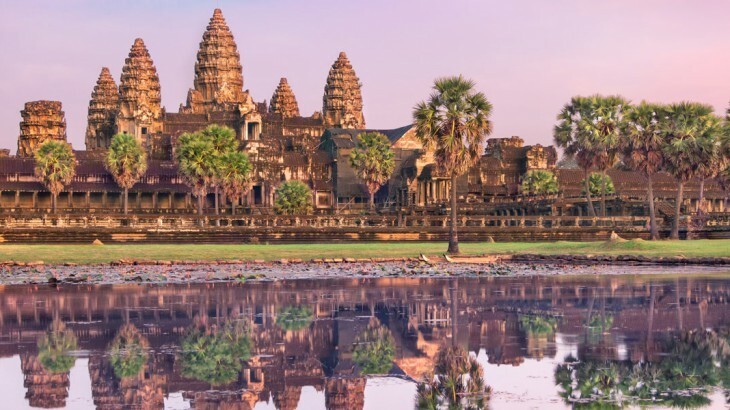 Overall tourism numbers to Cambodia have risen considerably over the past decade, with travellers and tour groups headed to the country to experience its culture, natural beauty and religious values, Angkor Wat being one of them. After extensive restoration work due to damage, deterioration and natural elements taking their toll, such as plant growth and ground movements from earthquakes, the monument is one of the most visited in Cambodia. In 2013 the number of visitors to the site reached over two million and continues to grow today. Projects have been introduced to preserve the monument as much as possible in line with the growing number of tourists. Ropes and wooden steps have been installed to aid wear and tear on the low-reliefs and floors in particular. With its copper brown appearance and awe-inspiring stance over the land below, it is easy to see why Angkor Wat is one of the most prized monuments in the world. Rich in historical and religious heritage, there is no place better to experience true Cambodian culture. 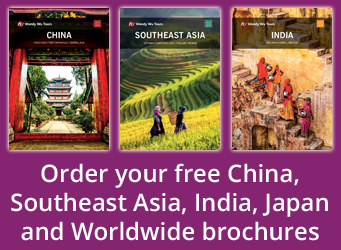 Book a guided Cambodia holiday with the UK’s leading Asia Experts, Wendy Wu Tours. Our award winning escorted, fully inclusive tours visit all the major sights of Cambodia for an unforgettable holiday. Cambodia history, nature, sightseeing, unesco heritage site. permalink.